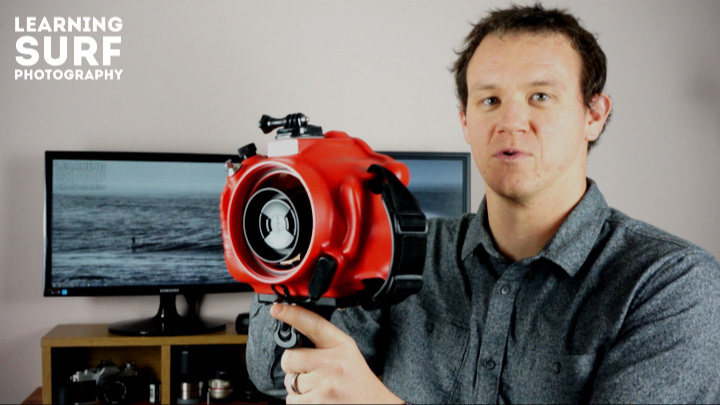 I know there are many people looking for a Sony a6000 Water Housing for surf photography, so I put together a video showing the modifications I’ve made to my Aquatech CR-60 housing which allow me to use my Sony a6000 camera body and all my lenses inside. Although this process was specifically for the CR-60 housing you’re going to be able to use these instructions to adapt pretty much any surf housing designed for a DSLR style camera to create a Sony a6000 water housing. If you need to know if your old housing will match up to your new camera I recommend the excellent Camersize.com website, it will allow you to put the two cameras side by side at the same scale, the dimensions are listed with them and you can easily see if the controls match up with the different angles offered for each camera. Since the A6000’s viewfinder is on the far left do the wingnuts ever poke your face when looking through it? Luckily the Aquatech housing doesn’t use wingnuts, it has recessed allen had bolts, so there’s nothing poking out that could catch on your face. If you’re using a housing which has wingnuts on the back I’d suggest trying to find some less hazardous nuts or just padding them out with some soft rubber or foam. The viewfinder is in an awkward position though, when shooting yesterday I decided to turn the viewfinder off and just use the LCD, but the sun was bright so it was difficult to see clearly, I’m working on a different system which will allow me to use the LCD better but it’s not as straightforward as I was hoping. Excellent video. Are you also able to activate video or only still/shutter. If you mentioned video record function I missed it. I haven’t looked into using the video button, I shoot stills with the a6000 and video with the GoPro on top, so I’ve never used it. I think you could adapt the button on the back plate to engage with the video control, but I have had no need to try this out myself. The Gopro mount is attached with the standard sticky foam pad, it’s on there permanently. I actually attach my DIY flash housing to the same GoPro mount, it works pretty well. 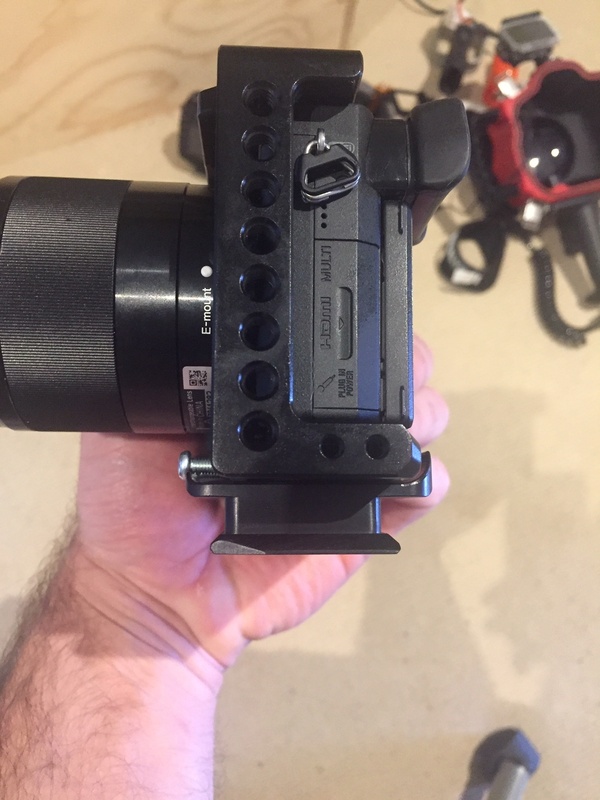 Ah thanks, Any links or demo on DIY flash housing for your Go Pro/CR-60 set-up. I clicked one link but it said error no page. Disregard last post. I found the DIY youtube video. Thanks Again. Glad you found it on Youtube, I’ll try and fix any dead links at some point, I’ve also got a different set-up now I use the Sony a6000 instead of a Canon DSLR, so I’ll have to do a full updated post soon, I don’t have many examples with the new kit yet though. “I actually attach my DIY flash housing to the same GoPro mount, it works pretty well.” brilliant, Any pix of the DIY flash housing and GoPro mount attached to each other. Haven’t found them. Hey Ben, bit of a strange question, but I was interested in getting the sigma 60mm to use in my housing but it seems its 1mm to long. I looked at a couple photos of it and it looks like there’s a bit I can shave off. Do you think its possible or am I pushing it. Shaving it with a hack saw might be bad if I get dust inside the lens, maybe if I melt it with a soldering iron? Any suggestions? I’ve had a look at the Sigma 60mm, the plastic threaded ring for the lens cap and filters could potentially be shaved down by 1mm, but you would end up with the front element of the lens very close to the port, and you might not be able to use a lens cap or filters with the lens any more. Depending on how snug your housing is you could try moving the camera back by a couple of mm instead of trying to remove part of the lens. If you really want to trim part of the plastic I’d probably mask off the lens element with tape and use a sharp knife to slowly strip off the plastic, that way there’s no dust involved at least, I wouldn’t want to heat it up with a soldering iron or anything in case it deformed the plastic enough to move the front element and affect the image. The Samyang/Rokinon 8mm has about 5mm of hood beyond the front of the element, so the length without the hood is about 51mm, I just did a quick measurement with a ruler so if it’s critical that it’s accurate I’d recommend getting hold of the lens yourself and making more accurate measurements. 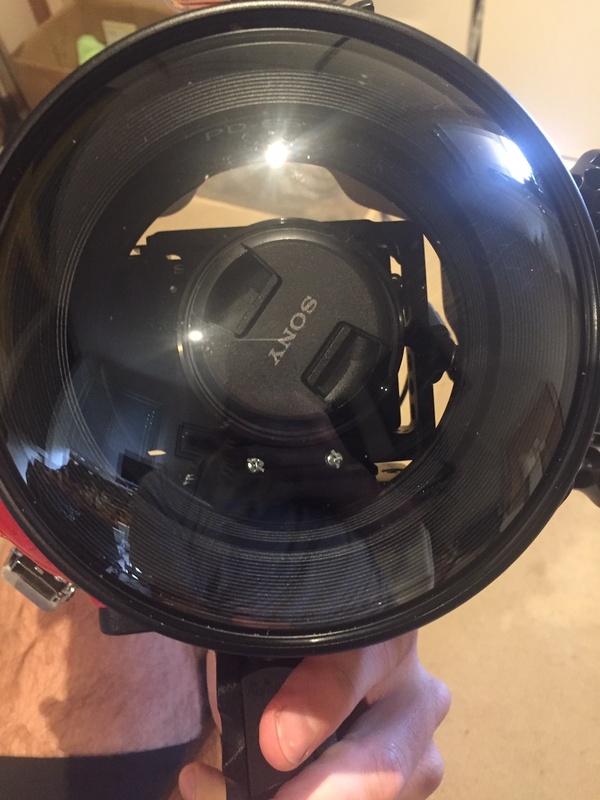 hey would a 7D housing work with the a6000 and the lenses? those cameras are the same size right? 7d and 60d? Size wise you’ll be fine, the 7D is a bit bigger than a 60D so there will be plenty of room for a Sony a6000. To convert the 7D remote to a regular mini jack plug, then use the adapter cable that I show in the video from there, but it’s a bit of a faff. You could always solder your own up if you have the patience, that would be the tidiest way to do it. okay but with the plating system you’ve shown and dome ports i have for the 7d will the a6000 with the Sony 10-18 work? If you’ve got the Aquatech CR7 housing then it’s the same shell as the CR-60 that I have, the plate will be a little different as it’s designed to fit the 7D not the 60D, so you might need to modify it slightly use the same plate I use. I don’t have the 10-18mm lens, and I don’t know which dome port you have, but it will probably work, although ideally I think you’d want a flat port with a zoom control for it as it’s not a fisheye lens. The closest lens I’ve used is a Sigma 10-20mm, it worked fine in my dome port at 10mm, so I expect you’ll be fine. If you’ve got a different housing you’d need to check it out, but there’s likely to be a way to do it. I cant find a CR60 housing anywhere. They are very hard to come by these days. I love my A6000 and all the lenses I have, is there another housing you can recommend that might be modified to work. I want to shoot in the surf. It looks like below someone was going to try a 7D but as I don’t yet own a housing maybe there is a better one to try? I don’t want to have to play to much with the shutter release cable/cables. Thanks! Do you think ill be able to us thisnfor my sony A600? The a6000 will definitely fit inside the liquid eye c1600, but you’d have to pad it out really well to get it in the right place, and you’d need an adapter cable like the one I use to convert the pistol grip cable. If you’re considering buying new I’d contact Phillipe at Liquid Eye as I know there’s going to be a housing from Liquid Eye designed for the Sony a6000 soon. If you can get a second hand one for a good price it’s probably a fun project. Ok, i emailed liquid eye and they said they had an A6000 housing coming out in the next month or so formaround 600-700$. So i just gonna go the safe route and get that. Hey, thanks for replying, that sounds like a great price for an a6000 housing, I’m looking forward to seeing what Liquid Eye come up with. 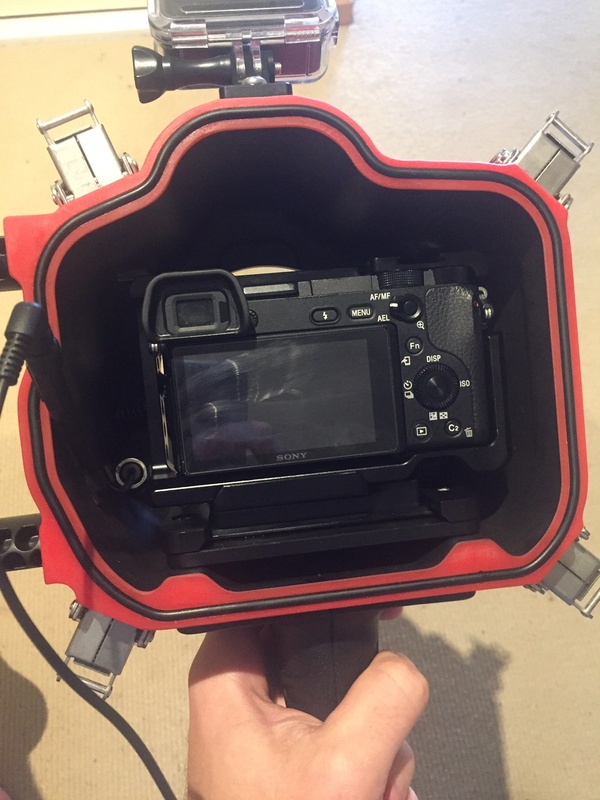 I’ve used my CR-60 with a 7D, you do need to file a bit of the tray off, can’t say for sure which bit because I’d already filed mine down for a 70D. Other than that you just need the trigger cable adapter and you’re good, you will lose the back controls as far as I remember but you can get the top dial working. i was able to perfectly fit a sony a6300 when it is in a smallrig cage. all that was needed was to file a small amount off of my canon 5Dmkii base plate to allow for the handle contour. I’m sure there are plenty of people who will find that useful. I’ve got the small rig cage for the a6500, how much space is there at the back of the camera? I expect the a6500 would work fine in there too as long as theres a bit of space. hey mate, plenty of space at the back of the base model aquatech housing. the smallrig makes it the perfect height for being centrated in the housing port. 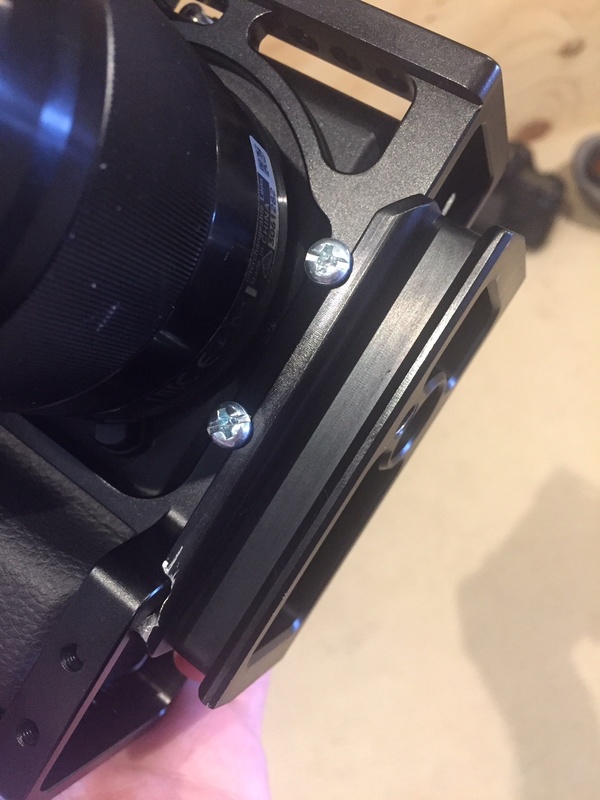 Thanks for the pics, those screws on the front are a great idea, and it does look like a great fit with the smallrig cage. I like the look of the base housings, but I’ve still got a few old L series ports, so I’m holding out for a second hand ATB housing that I can use them with. 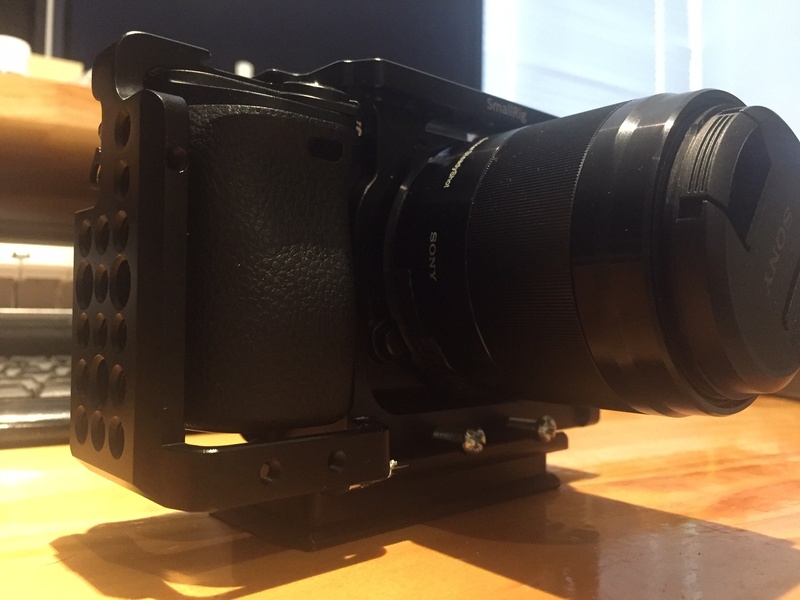 This will be invaluable for anyone interested in using a base housing for a Sony camera. Thanks for taking the time to write back again.